Video surveillance is the act of monitoring and keeping track of all possible behavioral aspects and other varying characteristics of personnel that is inclined towards the protection and managing of the person. There are several ways to monitor a person which is either by closed circuit television (CCTV) equipment recording the activities or even by the unconventional method of interception of a person’s personal networking data. However, businesses choose to go with the former rather than the latter as the latter one is complex and requires a vast knowledge of surveillance security and other relevant investigation concepts. While CCTV or surveillance cameras are manufactured by many companies to provide protection and security to a business via video surveillance, these video surveillance techniques need to be done right in order to make the best use of them. Here are a few methods and ways to use video surveillance to protect your valuable business more efficiently while being more cautious as well. Surveil and observe the stock chambers and rooms: Surveillance cameras are to be installed in the more remote and isolated areas of the business such as the back vault or the stock room hallways for many reasons. It provides safety to the employees while making the stock exchanges happen in these rather not so visible areas of the business. Video surveillance can help you keep an eye on employees who tend to steal company stuff such as pen, other stationaries or items of small value. Parking area security: Protection of a customer is the sole responsibility of a business. Allowing a customer to park their vehicles safely without having the risk of it being damaged or broken into allows the customer to shop with an ease of mind. Employee safety is an equally important factor as well and a business needs to provide all round safety to its employees while walking to and from the parking lot in the dark or entering or exiting their cars after working hours. 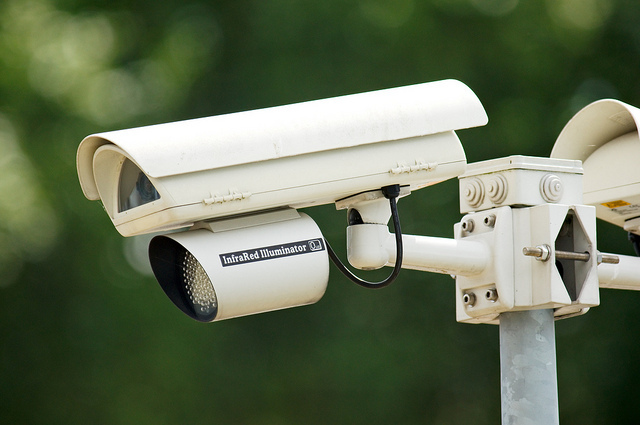 Hence video surveillance enables a business to monitor that sector too. Cash and other monetary surveillance: A surveillance camera installed at a bird’s eye view point lets the business to watch the unauthorized and illegal activities of an employee relevant to monetary transaction. It allows the business to handle and closely keep an eye on cash registers and any inappropriate cash loss or transactions occurring in the business. Staff performance: Placing surveillance camera on socially active hotspots of a business and hallways keep a business more efficient and a lot more productive. It allows the executives to keep a close watch on the employees’ social conduct and helps monitor other behavioral aspects as well. Having video surveillance cameras placed in places of meet in a business or a company, will also allow the businesses cut down on employees socializing time thus increasing the overall productivity of the business. Monitoring the maintenance services: Maintenance and other outsources activities are paid a lot for and these services show up after the typical working hours. To surveil and watch their activities and to know if these services are working well enough after you’ve left the business to be refurbished for the night, placing closed circuit surveillance camera is an extremely good choice. It allows monitoring their activity and the events that took place when you were not around. Loading Docks: This loading arena is a big loophole or a portal that allows leakage and sneaking of goods from a business to the outside. Establishing surveillance systems in the docks to look after any unauthorized exchange or transfer of goods from your business is a must. It will help stream real time videos on the feed or allow you to watch archived clip and footages at your convenience. This is especially necessary for imports and exports businesses. Video surveillance at your door: Several businesses designing and crafting custom products or valuably artwork prefer to work by prior consultation requests. Having a security video camera placed at their door will allow these businesses to know who is out there. Video surveillance will help verify a person’s identity at the best. Owning a financially stable and growing business is every man’s dream and so, much like around every sweet pie there are flies lurking around there are safety issues and security problems that need to be dealt with in every successful business. These security measures are primarily handled by video surveillance techniques. Incorporating a video surveillance circuit system will allow you to keep a close watch on the who’s and what’s of the business. It allows you to monitor internal and external interferences closely while identifying the issue more comfortably thus keeping crime at bay.